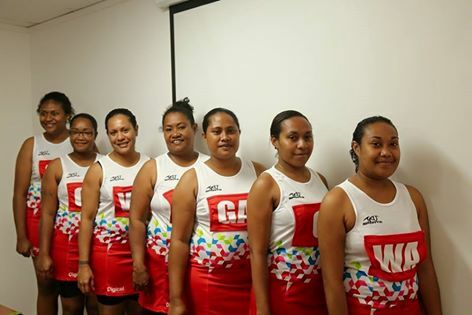 The Digicel netball team were generously given new team uniforms from TAU Sportswear PNG. Digicel will be playing in their first grand final match in Division 5 of the Port Moresby Private Companies Netball Competition against Ginigoada this Sunday 17 April at the Rita Flynn Sports Complex. Digicel Netball Team Manager, Susanne Memafu-Pala said her team were extremely grateful to TAU Sportswear for their support to the team. TAU Sportswear Shop Manager, Edmond Lugabai said that the shop was very happy to supply these new-look uniforms to the Digicel netball team in time for their grand final game. The uniforms were presented to the team at Digicel’s head office on Friday 15 April from Edmond Lugabai and Robert Kimai, Director of Tau Sportswear PNG.